OpenID Comes to Higher Education? There's quite a buzz around OpenID both on the Net and in the higher education community. Google trends confirms a sharp uptick in interest for OpenID. It appears that we will start to see more and more websites supporting it. Stay tuned. When I was at MIT working on .LRN and iLearn we received some very valuable feedback early on by an MIT physics undergraduate. Her comment has stayed with me all these years: "When you design e-learning systems, don't forget that we (students) learn as much from each other than we do from our instructors." What she was describing, of course, was the power of peer-to-peer learning. I confess I still don't understand Web 2.0. 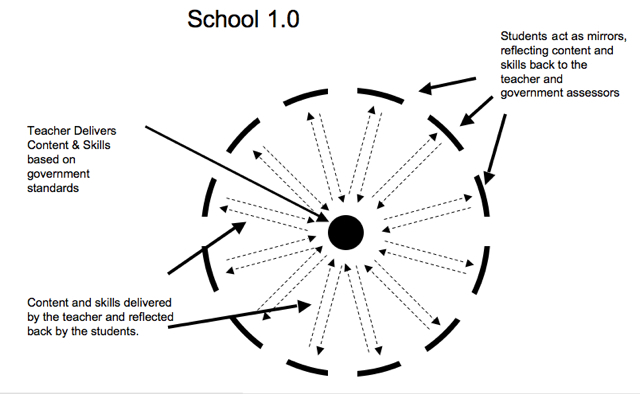 David Warlick, however, has distilled for us the difference between School 1.0 and School 2.0. School 1.0: "Teachers deliver content and skills, students are mirrors, reflecting content and skills back to the teacher (or government). If the reflection is in the image of the teacher and the state’s standards, then success has been achieved — regardless of any continuing affects on the students abilities to prosper in a rapidly changing time. 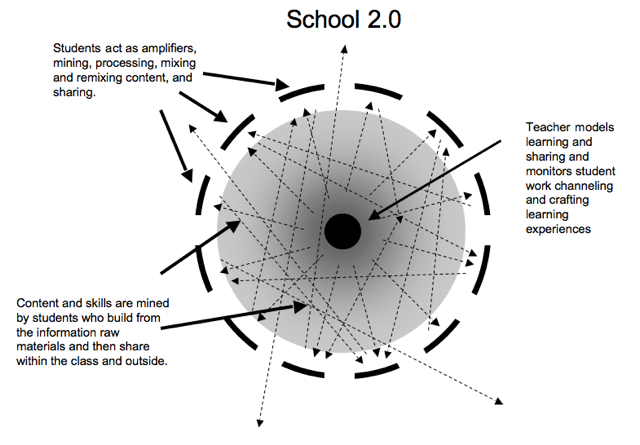 (See diagram 1)"
School 2.0: "Students stop being mirrors, and instead become amplifiers. Their job is not merely to reflect what they encounter, but to add value to it. Content and skills are no longer the end product, but they become raw materials, with which students learn to work and play and share. (see diagram 2)"
The big running event in Minnesota is Grandma's Marathon. Thousands flock to Duluth, MN on the beautiful shores of Lake Superior for the annual rite of passage among runners in the Midwest. I am not ready for a marathon but will give it a shot with my first half marathon. I suppose it's time to start training and come out of my slothful winter ways. I was having too much fun camping in front of my TV watching C-SPAN and reruns of the Andy Griffith show. The race is so popular that entry is by lottery: 9,500 for Grandma's and 4,500 for Bjorklund. All the hotels in Duluth and Two Harbors are long gone. After some frantic hunting I managed to book a room in some god forsaken hut in the outskirts of Duluth. But what if I don't get a draw in the lottery? Fortunately, my friend Barry Dahl told me about a guaranteed way to get into the race. You can take an online course ("Running a Marathon") from Lake Superior College. Registration in the course guarantees you a slot into the race but is also a good motivation to get prepped. Taking the course for non-credit is $150, which includes the entry fee. You can also earn two course credits from Lake Superior College but that costs $363.32. The course this year will be taught by Duluth native Katie Koski who is hoping to qualify for Beijing Olympics in 2008.